It was Friday evening, the end of a long week of college. Gideon was walking past the home of one of his neighbors in a little village in Kenya. He heard a commotion! A panic-stricken mother was screaming, “My son is hanging himself! He is still alive!” Gideon ran into the house and found a 17-year old high school boy hanging from the ceiling. Gideon was strong enough to cut the boy down, administer CPR and get him to the hospital. 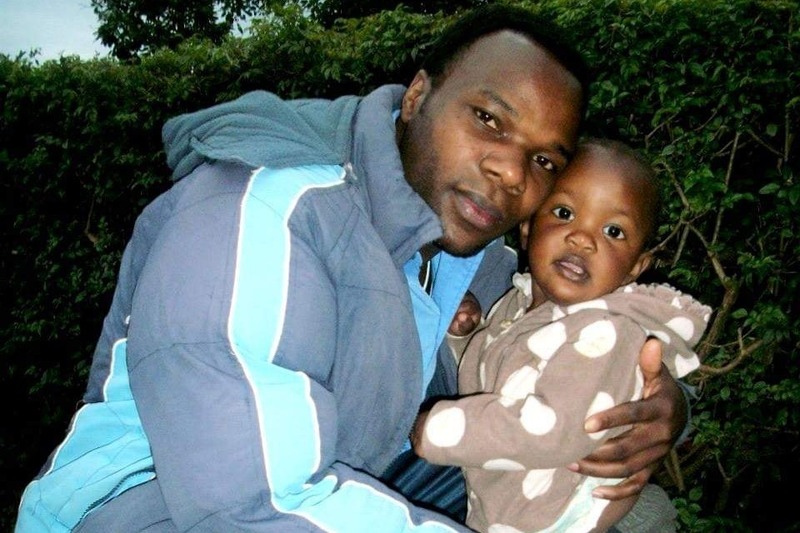 Gideon Mogaka is a 29-year old husband and father in a small village in NW Kenya (about 8 hrs. from Nairobi). He is a free-lance videographer, choir director, and avid church member. He adores his wife and 4-year old son, Samuel. Gideon is also a leader in his community, and he wants to work professionally with troubled teens like the boy who nearly died Friday evening. 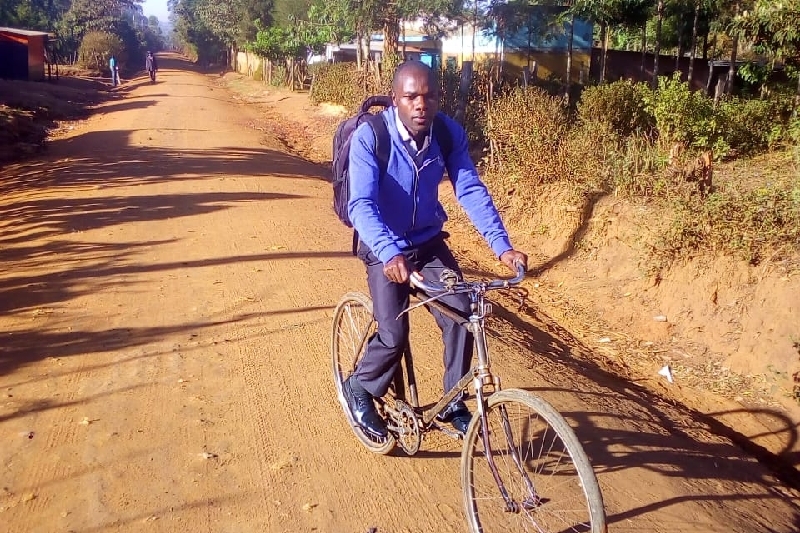 Gideon saved a little money over a long period of time until he was able to pay for entrance to Cambridge Universal College , Kitale campus. He is pursuing a diploma in Community Health and Development. Gideon started going to his first class a few weeks ago and reports his excitement at learning so much in such a short period of time! The campus is 15k (9.3 miles) from home. It takes 45 minutes on dry, sunny days on his bicycle. The roads are dirt, not pavement. It is currently monsoon season. Walking in the torrential rain & mud takes 2 hours! Each way! No matter what, Gideon is determined to further his education and help his community. Let’s help Gideon! Tuition for 2 years: $2400; books/supplies for 12 terms & TukTuk fare during monsoon season: $600. Gideon finished his first term and sat for exams. I'll let you know his grades as soon as I get them. Thanks to you, we paid the remaining $107 for the term, the books/supplies for the 2nd term, tuk tuk fare for the next couple of weeks, and $50 for 1/4 of the 2nd term! Gideon expresses his thanks to donors who helped him pay for his first college term and exams. 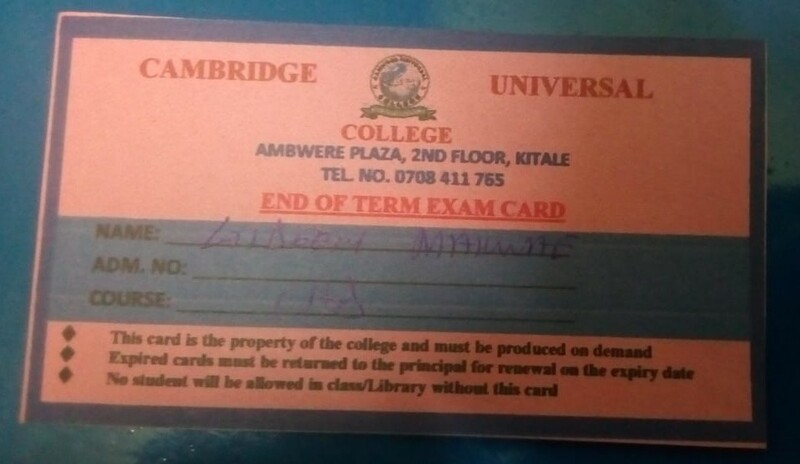 This is Gideon's exam card. Because of you, he was able to pay the last $107 for the term!